Jo Fletcher Books, 9781681442938, 368pp. In 1851, within the grand glass arches of London's Crystal Palace, Albie Mirralls meets his cousin Lizzie for the first--and, as it turns out, last--time. Coming from a backward rural village, Albie expects Lizzie will be a simple country girl, but instead he is struck by her inner beauty and by her lovely singing voice. When next he hears of her, many years later, it is to hear news of her death at the hands of her husband, the village shoemaker. Rumors surround his young cousin's murder--apparently, her husband thought she had been replaced by one of the "fair folk" and so burned her alive--and then disappeared. Albie becomes obsessed with bringing his young cousin's murderer to justice. When he arrives, he finds a community in the grip of superstition, nearly every member believes Lizzie's husband acted with the best of intentions and in the service of the village. And the more he learns, the less sure he is that there aren't mysterious powers at work. Alison Littlewood is the author of A Cold Season, published by Jo Fletcher Books. The novel was selected for the Richard and Judy Book Club, where it was described as 'perfect reading for a dark winter's night.' Her second novel, Path of Needles, is a dark blend of fairy tales and crime fiction. Alison's short stories have been picked for the Best Horror of the Year and Mammoth Book of Best New Horror anthologies, as well as The Best British Fantasy 2013 and The Mammoth Book of Best British Crime 10. Alison lives in West Yorkshire, England, with her partner Fergus. "There's an amazing sense of place and time in this novel . . . Littlewood perfectly captures the literary style, attitudes, and class consciousness of Victorian England." 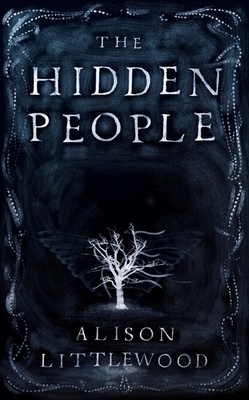 "The perfect book to curl up with on a chilly fall day, The Hidden People will make the hairs on the back of your neck stand up." "Trails of corpses, not bread crumbs, lead to terror in this captivating, psychologically complex hybrid of magical realism and police procedural . . . Crisp pacing and assured prose lend authenticity to a self-referential thriller that questions our values and the stories that define us."